November | 2014 | The Intraracial Colorism Project, Inc. The Skin We Live In: Colorism, Girls and Women of Color. 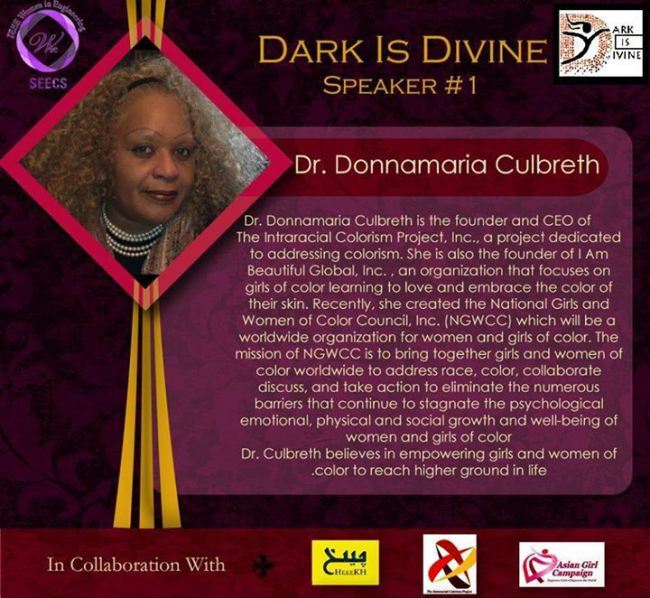 On Monday, November 24, 2014, Dr. Donnamaria Culbreth and Dr. Julie Jung-Kim will speak about colorism affecting girls and women of color at The Skin We Live In, a seminar by Dark is Divine and collaboration with IEEE SEECS Women in Engineering, The Intraracial Colorism Project, Inc., Cheekh – Speak Up, and Asian Girl Campaign. The seminar will take place at the National University of Sciences and Technology (NUST), Islamabad, Pakistan, at 1pm PST, SEECS Seminar Hall, NUST, H-12. The seminar will air live at 3:00 am EST in the United States. We will post a video or stream of the seminar at a later date. 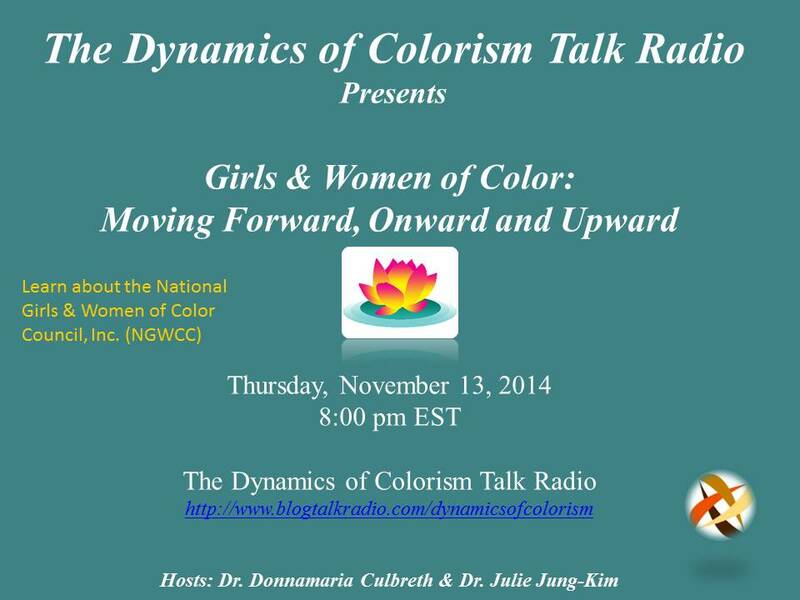 Girls and Women of Color: Moving Forward, Onward and Upward.